It is a slow-moving disaster than penalizes clean athletes and rewards a dirty system. Welcome to the Russian state sponsored doping saga, episode number 58. 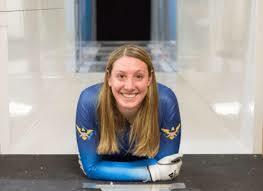 For those readers who do not follow the fast, exciting world of winter sports in the Virgin Islands – the beach training is intense and the air conditioning can be very cold – you may have missed the sad news of Ms. Kathryn Tannenbaum, the skeleton sledder from those temperate isles. Skeleton sledding is the “sport” where competitors, kitted in the saran wrap version of lycra, get on tea trays a.k.a “sleds” and hurtle – face forward – down hundreds of meters of mountainous sheets of ice. As a natural born coward you could not pay me enough money to do this sport. However, Ms. Tannenbaum not only loves this sport, she wants to do it at the Olympics. She has matched the qualifying times for the Olympics. She has not – and this is important – ever been caught doping. She has never failed a drug test. Nor has she unwittingly participated in a regime of state-sponsored doping. Yet on February 1st Ms. Tannenbaum was prevented from participating at the Olympics. The only reason given by the Court of Arbitration for Sport (CAS – effectively the Supreme Court of international sports) for their refusal to allow her to compete was there not enough room at the Olympics for an athlete from such a small nation to participate. Not since Joseph arrived in Bethlehem with a pregnant wife, has there been such a specious case of ‘not enough room’. The irony of this decision is that it was announced on the same day CAS announced that they would be allowing the return of dozens of Russian athletes who definitely had been part of a system that was doping. Thereby allowing them to participate in the PyeongChang Olympics. Essentially, CAS, without providing any legal reasoning for their decision, set aside the thousands of pages of evidence gathered in three separate investigations – two by Richard McLaren under the auspices of the World Anti-Doping Agency (WADA) and one by the International Olympic Committee (IOC) themselves. The CAS judges said that it was not their job to decide whether there had been a systematic attempt to hide positive doping test by the Russian authorities (as whistleblowers have testified). Rather the job of CAS was to figure out if the individual athletes had been caught doping. If they had not, they could be allowed to enter the Olympics. As a legal argument, its a little like after the bank executives testify that there was a long sustained money-laundering, that almost-every customer had to took part in the shielding of their money and there was a well-thought out strategy to destroy every piece of evidence – the judge’s decide that the accused is innocent because “there is no evidence of money-laundering”. The whole point of the Russians breaking into the Sochi Olympics doping laboratories, tampering with urine bottles and tests was to hide the evidence. What makes this case worse is that the Russian government also deliberately prevented WADA investigators from entering their Moscow laboratory where there are thousands of untested samples from athletes. So by denying, hiding and obstructing they have allowed themselves to get back in. Some of the Russian athletes who have been benefited from these legal decisions are skeleton sledders. So the lesson out of all these legal decisions is that if you are a potential participant in a doping system from a powerful country – like Russia – you can participate in the Olympics: if you are a clean athlete – like Ms. Tannenbaum – from a small nation you are not welcome. I also enclose two excellent articles that give real context on the issue of doping in winter sports. The first is a New York Times op-ed by Jack Robertson the former World Anti-Doping Agency investigator who deliberately leaked material to the German journalists Hajo Seppelt on the extent of Russian doping. The article appeared just after Christmas and thus did not get the attention it should have done. Deeply personal. 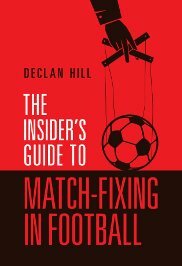 Utterly ethical and very angry, it is compulsory reading for all sports fans. Note: neither article plays into the ridiculous Cold War paradigm that often gets imposed on this issue. They both make it clear that there is lots of doping in lots of sports. The difference in this case is that elements of the Russian state were pushing the doping and they got caught. The International Olympic Committee may have suspended Russia’s team from the 2018 Winter Games in Pyeongchang, South Korea, over a system of doping. But the ruling — which allows Russian athletes to compete under a “neutral flag” — is a joke, a non-punitive punishment meant to save face while protecting the I.O.C.’s and Russia’s commercial and political interests. I feel entitled to say this because I conducted the investigation on behalf of the World Anti-Doping Agency. The 2016 report of the WADA investigation found that Russia operated a state-sponsored doping program on a level not seen since East Germany’s and, in the process, cheated hundreds of clean athletes of their rightful place on Olympic and World Championship pedestals. Nevertheless, Russia is now lobbying to have hundreds of athletes compete in Pyeongchang, where they will enter as “Olympic Athletes From Russia” — hardly a neutral designation, as the I.O.C. suggests. They may also be allowed to exit the closing ceremony under the Russian flag with “Russia” on their uniforms. In 2016, the International Paralympic Committee had no problem swiftly barring Russian athletes from the Rio Olympics. The I.P.C. president, Philip Craven, noted that Russia placed “medals over morals” and in so doing made a mockery of the Olympic Charter. I acknowledge that expulsion of all Russian athletes is a strong discipline, but severity is both just and necessary. The I.O.C.’s cowardly decisions before the Games in Rio, and again now, have not deterred but rather emboldened Russia’s future cheating endeavors without fear of any true reprisal. The only real deterrent value here is toward truth-telling whistle-blowers. The initial revelations of Russia’s doping program were a result of the bravery of the whistle-blowers Yuliya Stepanova and Vitaly Stepanov. This husband (a former employee of the Russian antidoping agency) and wife (an elite runner) possess a selfless and concerned patriotism. For their honorable intentions, the couple were labeled traitors and forced to flee their homes for fear of being killed. They believed in clean sports; so did I when I started the investigation. As it grew, I realized it was larger than I had suspected and would require more resources. That’s when I realized that it was not just the doping world that was the problem, but also the antidoping world. My requests for additional investigators were denied by my WADA bosses — the head of WADA is also an Olympic committee board member. So I decided to leak the whistle-blowers to a trusted German reporter who made a high-profile documentary. I was the world’s primary antidoping investigator at the world’s flagship antidoping entity — and I was working around my own organization. I knew that public embarrassment is the coin of the realm in the Olympic movement. As I hoped, the documentary pressured WADA to provide me with resources for a full-scale investigation. The investigation supported a Russian athlete’s claim and corroborative testimony given by other Russian athletes that 99 percent of their national-level teammates were doping. We discovered that when a Russian athlete rose to the national level, he or she had no choice in the matter: It was either dope, or you’re done. Athletes and coaches were connected with Russian doctors who designed doping regimens, and actually trafficked and stored controlled substances within Russian Sport Ministry buildings. I spent most of my career as an agent with the Drug Enforcement Administration investigating drug cartels, and even they were less brazen. Everyone from Russia’s doping-control officers to its secret police helped ensure that athletes would not fail drug tests, or if they did, it would be covered up. Despite all of that, I am less disappointed with Russian athletes than with my own professional peers, key figures in global antidoping who have supported the I.O.C.’s “neutrality” decision. I have heard the decision called a “moral victory.” In my experience, a moral victory is only claimed in a losing effort. Let me be clear, there is nothing to be either praised or defended in this decision, which pits clean athletes and against doped ones. Russian athletes will have to fulfill “strict conditions” to enter the Winter Olympics, which is a complete farce. This punishment ensures that clean athletes will face dirty ones. One only need look at the hundreds of clean tests from habitual dopers like Lance Armstrong and Marion Jones. Even WADA’s former head said only the “dopey dopers” get caught. Once again, the I.O.C. will ensure that some supposed Olympic “champions” will have their medals stripped by new doping tests on their stored samples. Years will pass before the true Olympic champions are recognized and receive their medals in the mail, not on the podium. Even now, Russia remains uncooperative. Information WADA requested has still not been turned over. Russian officials have not admitted guilt, but they have intimidated witnesses and continued to dope even during the investigation. There is currently no intelligence I have seen or heard about that indicates the state-sponsored doping program has ceased. In fact, the evidence suggests it continues. The I.O.C. knows all of this. I feel for future Russian athletes who will most likely face forced doping, because the Olympic committee chose not to protect them by handing Russia a punishment with serious deterrence value. Thomas Bach, the committee president, is the Neville Chamberlain of this story; his appeasement will have familiar consequences. Russia will be emboldened, knowing that the worst punishment it can face for the worst betrayal is not bad at all. The I.O.C. reached a compromised decision, and the Olympic Charter is forever tarnished. The world now knows how low the bar is. Any future punishment of less powerful countries will be seen for what it is, a double standard, with the I.O.C. picking and choosing which rules to follow and to whom they apply. The I.O.C. needs to be reminded the Olympics can survive without Russia, but not without the Olympic ideals. Looking ahead to the 2018 Games, whether or not more wrongdoing is immediately uncovered in Pyeongchang, it will be taking place. Spectators and athletes should consider the final medal count in February as a temporary placeholder, to be adjusted over the next decade as athletes are retroactively disqualified. The change needed is not complicated: a new slate of Olympic leadership that will put the spirit of the Charter first, and simply hold member nations to it. Sports provide a rare platform that allows people across the country and world to engage in meaningful and civil ethical discussions. Decency and doing what is right are core values within sports, not secondary concerns. The International Olympic Committee needs to clean house, and bring in new leaders who not only understand these principles, but will live by them. 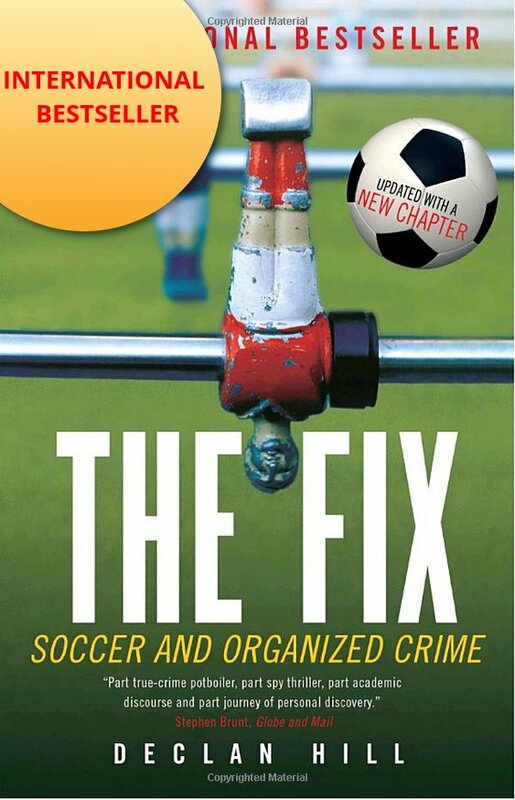 Jack Robertson is the former chief investigative officer for the World Anti-Doping Agency. 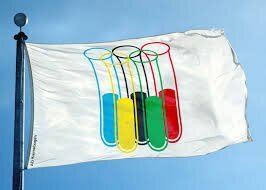 Any idea if the IOC stated that all OAR athletes shall be tested for doping violations regardless of success or if they were all set free to play the game as other athletes may? Just this morning there was an announcement that the third-place mixed-doubles curling ʺwinnerʺ Aleksandr Krushelnitckiy failed his A sample. It contained the same drug that put Maria Sharapova’s tennis career on hold for a while. So Russian officials feel that curlers must be pumped like tennis players in order to gain an advantage? Curlers? I get the feeling that these officials are just pumping their athletes with anything available in the hope that something takes.